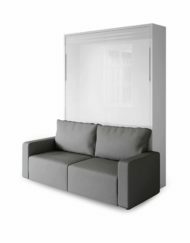 Sofa Murphy Bed Combinations are exceptionally good space savers that merge the function of a living room and a bedroom together in unity. 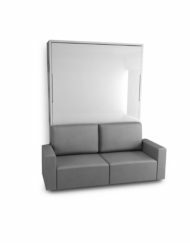 Smooth mechanics and quality finishes are important features across all of our top-rated sofa wall beds, but we also have specialized designs to cater to your space saving needs: From vertical and horizontal wall bed sofa designs to compacting murphysofas, sofa wall beds with storage and sectional wallbed sofas. 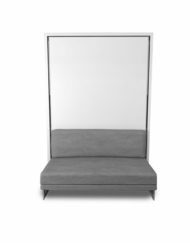 Browse and shop our Murphy Bed Sofa collection here. 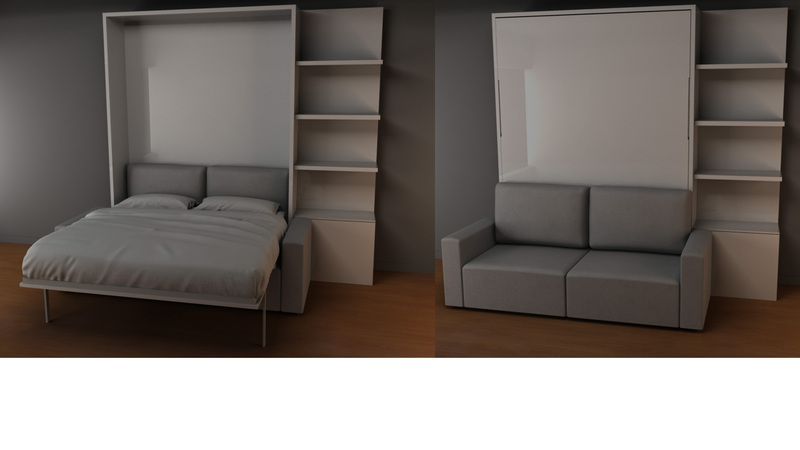 Sofa Wall Beds designed to fit perfectly together to transform from a living room to and bedroom and back with ease. We have a variety of styles of Sofa Murphy beds in our shop. 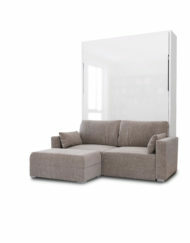 From Italian Wall beds where the sofa compacts down to MurphySofas which have hidden storage inside for convenience. 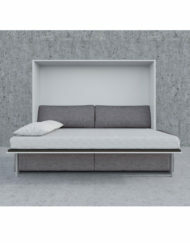 Horizontal Sofa Wall bed combos are great for wide rooms or where you have low ceilings. We have King Size Wall bed Sofas that save an enormous amount of space when compacted away. 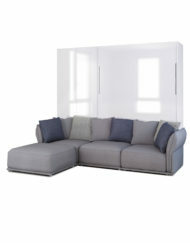 We even have sectional Sofa wall bed combos that are modular in design where the chaise can swap sides. Use a wall bed combo in your living room for a spare guest room, or turn that guest bedroom into a functional media room. Essential for bachelor/studio apartments the MurphySofa beds are also popular for homes where you can add extra utility to your home by adding the equivalent of a full extra room. 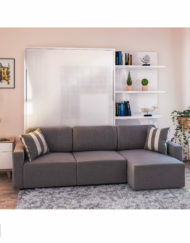 Expand Furniture is a top-rated wall bed sofa store that offers the highest quality furniture that can transform your small living area into an area that is spacious and comfortable. 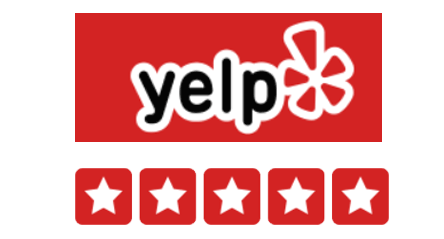 With five star reviews and an excellent track record for customer satisfaction, browsing through our online selection of wall bed sofas is a breeze. 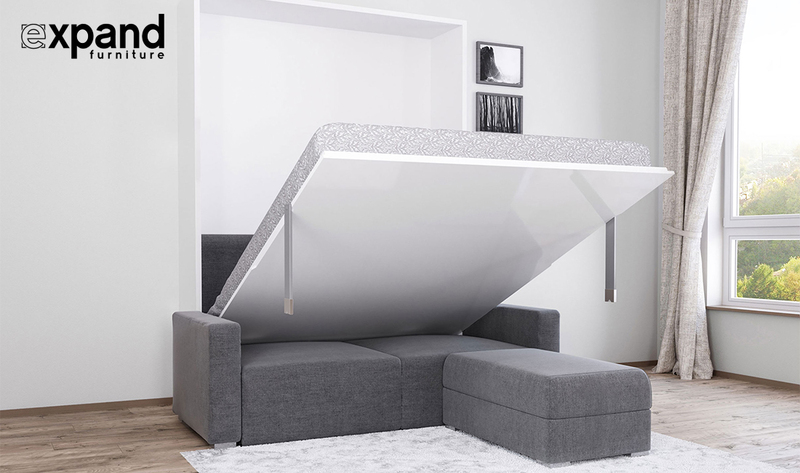 Expand Furniture has a wide variety of space saving wall bed sofas that can maximize your living space with ease. Choose from a large selection of styles, colors, and sizes that best suit your needs as a small home dweller. 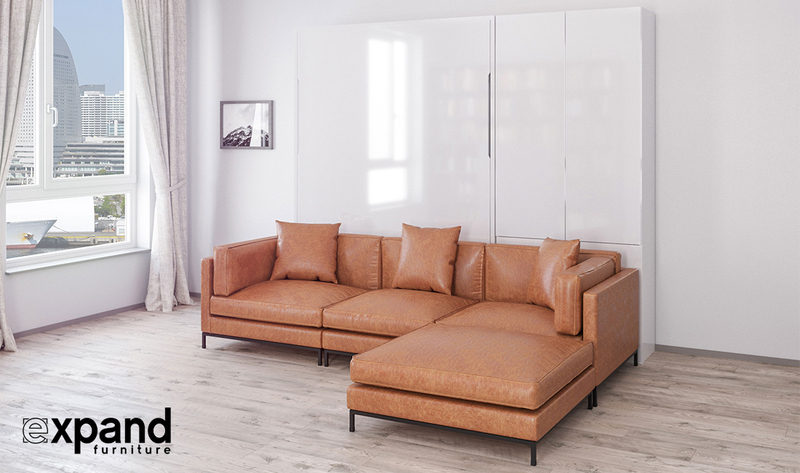 With fine craftsmanship and functionality in mind, the wall bed sofas we offer at Expand Furniture provide the ultimate space saving experience for anyone looking to improve upon the space in their small apartment or home. The living room is one of the largest areas in a home, and it can also be the most cramped due to the amount of furniture we often feel is necessary. That’s why Expand Furniture has dedicated its resources to finding the perfect small space solutions for you. 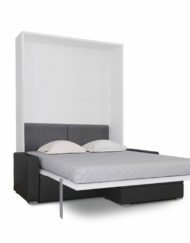 We offer the best sectional wall beds for sale to provide you with the utmost comfort and space in your small home. Browse through our online collection of sectional wall beds today! MurphySofa Beds are a beautiful and transformative new addition to any small space, providing the comfort and space saving needs you need in a cramped home. 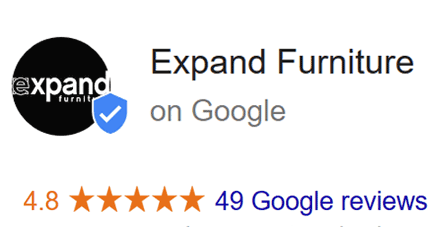 Expand Furniture has five star reviews on MurphySofa beds, making them some of the most popular products we offer in our online space saving furniture store. Choosing the right wall bed sofa for your small apartment or home is essential. You want the right style, colors, and above all, you want to maximize the amount of space in your home. At Expand Furniture, you can choose from a large selection of wall bed sofas that both fit your unique tastes and styles, and offer the most comfort and space for your home. Consult our wall bed sofa buyers’ guide to learn about our highest rated and most functional pieces! Buying any furniture online can be nerve wracking. You don’t know what to expect when you get your furniture, except what you’ve seen in less than ideal photos. At Expand Furniture, we do our very best to ensure that you can buy a wall bed sofa online with the utmost confidence in your purchase. We offer the best specifications, example imagery, and support when you buy a wall bed sofa online. Find the right piece for your home at Expand Furniture. 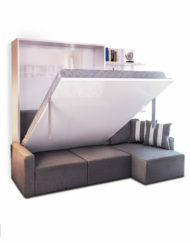 Expand Furniture is home to the #1 wall bed sectional designs on the market. Our wall bed sectionals are designed to maximize the space in your home by combining two of the largest pieces of furniture you would typically have. 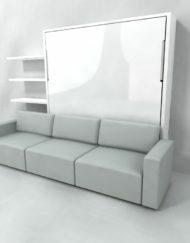 Wall bed sectionals from Expand Furniture are the perfect unique solution for your small home or apartment. 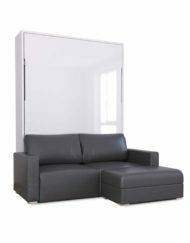 Expand Furniture has a large selection of wall bed sofas online for you to choose from. Living in a small apartment or a small house can be daunting when your furniture is crowding your space and making it seem even smaller and more cluttered than necessary. At Expand Furniture, we understand this struggle and have designed our king wall bed sofas to maximize the comfort you get out of your king sized bed, while maintaining the optimum amount of space in your home. 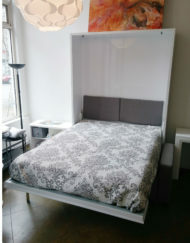 When you need a smaller bed for your space, Expand Furniture also has a gorgeous line of queen wall bed sofas on sale. The best part about our wall bed sofas are their versatility in the home. 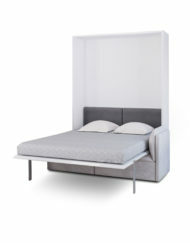 You can use these unique pieces of furniture in virtually any room, whether your choose to place it in your guest room or your living room, the queen sized wall bed is perfect for any sized home. Browse through our extensive collection today to find the right piece for you. One of the biggest issues with small space living is the lack of storage. Sometimes an apartment only comes with one or two closets that are meant for easy storage options, making it far too difficult to keep the clutter away. 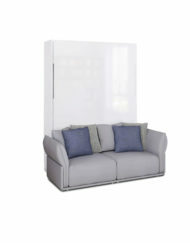 That’s why Expand Furniture offers full sofa wall beds with storage. When you browse our online selection of storage wall beds, you will find a unique supply of beautifully designed, expertly crafted transforming sofa wall beds with tons of storage for your home. 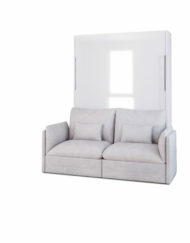 Expand Furniture not only offers king, queen, and full sized wall beds, but we also offer twin size Murphysofa beds! Our MurphySofa beds are perfect for when you want to utilize the most amount of space in your home without compromising the amount of sleeping space in your home. With beautifully designed sofa beds, your home can remain both stylish and spacious. Browse through our wide selection of twin size MurphySofa beds to find the right solution for your home. At Expand Furniture, we understand the complications of buying a wall bed online, which is why we offer the best support possible. Giving you the confidence to buy our top rated wall bed sofa products is our top priority and is essential to our customer satisfaction policies. 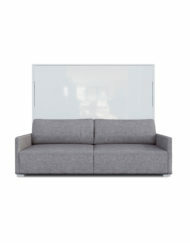 What Sizes of Wall Bed Sofas Do You Provide? Our wall bed sofas come in a wide range of sizes, including king, queen, full, and twin. Find the right wall bed that suits your needs when you browse through our extensive online wall bed sofa collection. Where Do You Ship Wall Bed Sofas To? Expand Furniture ships primarily within Canada and the United States, but we are capable of shipping your wall bed sofas to both Europe, Asia, and Australia. 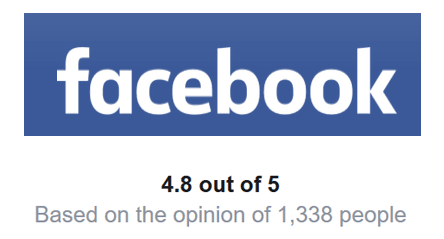 Before purchase, you should contact us if you have any further questions about areas we ship to. What Are The Wall Bed Sofa Mattresses Made Of? 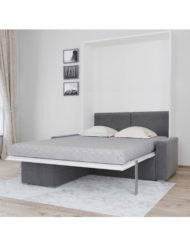 You can use your own USA/Canada sized mattress with our sofa wall beds, but we also provide excellent options from Magniflex as well as an in house brand made of the highest quality memory foam specially designed to work perfectly in conjunction with our functional and space saving wall bed sofas. The mattresses that we offer with our wall bed sofas are the comfortable Expand 8″ gel mattress. What Colors Do Wall Bed Sofas Come In? 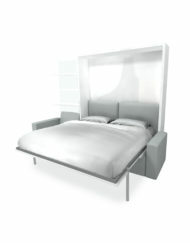 We offer our wall bed sofas in a variety of different colors and materials across all of our different products. Choose from sofa materials like timeless gray fabrics, genuine brown leather, dark navy blue microfiber, along with various beautiful and aesthetically pleasing colors and fabrics. For the more solid sections of our wall bed sofas, we have designed them to fit with any decor to suit your tastes and style to a tee. Our uniquely designed hidden wall beds are customizable, allowing you to choose the wall bed panel colors as well as the fabric material and color of the sofa.